Photo Description: It was an amazing experience to spend time with this beautiful bird. 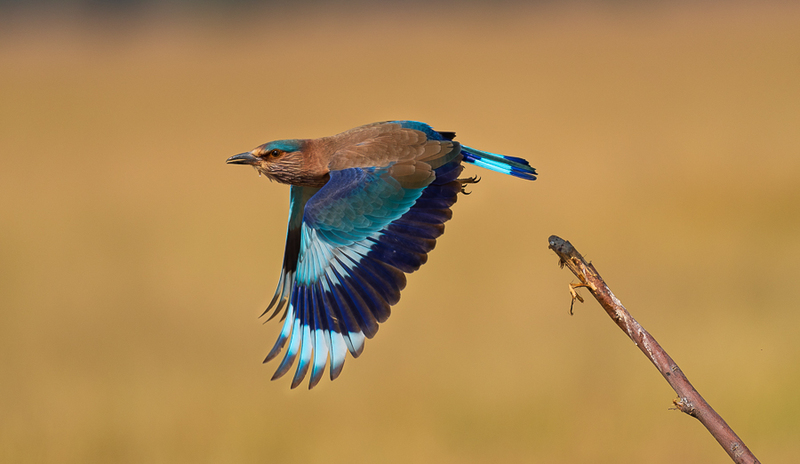 i always wanted to capture an indian roller in flight. here the soft yellow background is enhancing its colours.